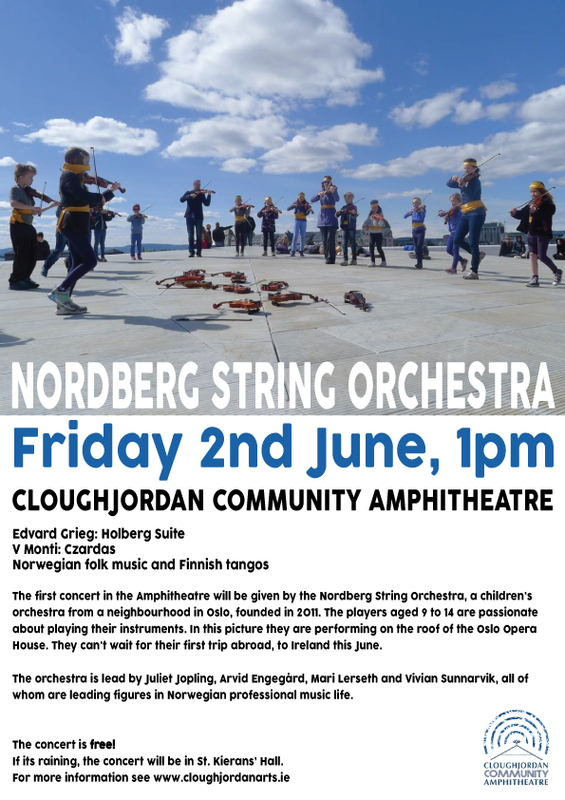 The first concert in the Amphitheatre will be given by the Nordberg String Orchestra, a children’s orchestra from a neighbourhood in Oslo, founded in 2011. The players are aged 9 to 14 are passionate about playing their instruments. In this picture they are performing on the roof of the Oslo Opera House. They can’t wait for their first trip abroad, to Ireland this June. The orchestra is lead by Juliet Jopling, Arvid Engegård, Mari Lerseth and Vivian Sunnarvik, all of whom are leading figures in Norwegian professional music life. Norwegian folk music and Finnish tangos.